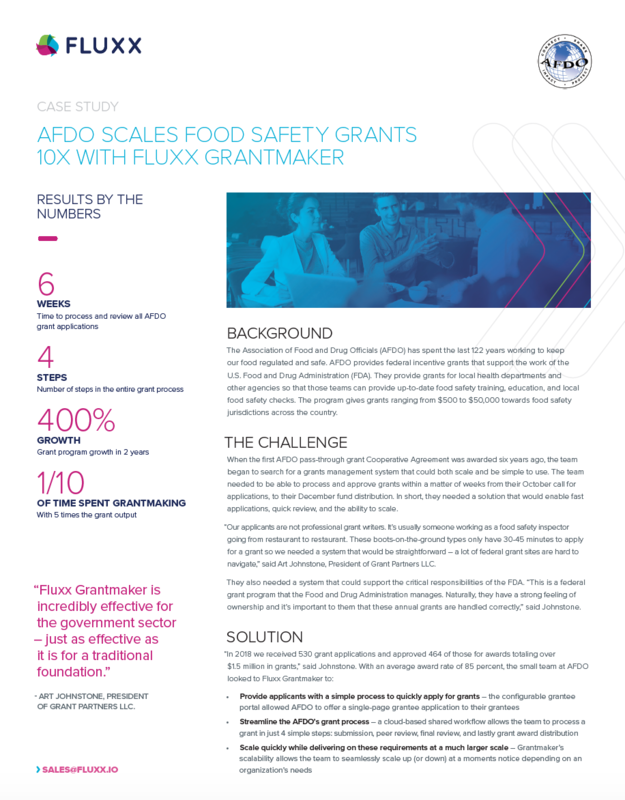 The U.S. Food and Drug Administration (FDA) and the Association of Food and Drug Officials (AFDO) awards grants to local health departments and other agencies for access to the latest food safety training and education, but their grantmaking doesn't stop there. "Fluxx allowed us to create a very streamlined application, review, and approval process, pared down to require only the most important questions and critical information." -Art Johnstone, President, Grant Partners Inc; Project Manager for AFDO Administered Retail Program Standards Grant Program.